Cecil Woolf is calling all Woolfians, both common readers and scholars! 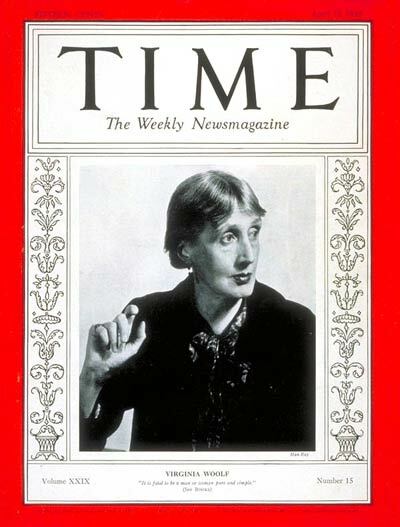 The publisher and nephew of Leonard and Virginia has proposed a project for Blogging Woolf. And he plans to publish it as a monograph in his Bloomsbury Heritage series. Cecil has asked us to collect “Virginia Woolf’s Likes and Dislikes” on this blog. Submit your entries in the comments section on this page, citing the source of the quote (Woolf’s Diary or Letters), volume, and page number. Contributors should also include their name and academic affiliation, if appropriate, so you can be credited for your contribution in the Bloomsbury Heritage volume Cecil plans to edit and publish. “I like printing in my basement best, almost: no, I like drinking champagne and getting wildly excited. I like driving off to Rodmell on a hot Friday evening and having cold ham, and sitting on my terrace and smoking a cigar with an owl or two” (Letter to Hugh Walpole, 16 July 1930, Letters IV, 189). “I don’t like [J. C.] Squire, but am doubtless jaundiced by my sense of his pervading mediocrity and thick thumbedness” (Letter to Ethel Smyth, 11 July 1930, Letters IV, 188). Now it’s your turn, fellow Woolfians. Post away in the comments section below. Or send your entry to bloggingwoolf@yahoo.com. I need your help! Virginia liked honey. She described herself as ‘a very bear where honey is concerned’. I was so charmed by this that I used it in my book about Monk’s House garden (out September 2013 with a foreword by Cecil Woolf) but I forgot to make a note of the source! Now the publishers in the UK and in Germany are hounding me for the details and I cannot find the quote….does anyone recognise it? The quote you mention — and about which I replied to you via email — is from page 564 of The Letters of Virginia Woolf by Virginia Woolf. Eds. Nigel Nicolson and Joanne Trautmann. Vol. III: 1923-1928. New York: Harcourt Brace Jovanovich, Inc., 1977. 6 vols. Your book looks enticing, and I look forward to reading it once it is published in September. CAN YOU ALSO SHARE LIKES AND DISLIKES OF WILLIAM SHAKESPEARE……….. PLZZZZZZZZZZZ……. Laura, thank you for contributing Virginia’s likes and dislikes. Nice selection! “I don’t like dining with Clive–not altogether. ” I won’t wear my new dress I said, in case I should be laughed at. “…there were moments of brilliant fluency which I enjoyed; when I said its far better to be here, rubbing my wits with these charming people than reading Rousseau in my drawing room; then I revoked that opinion; then I floated again; then I landed in the scrannels. “Oh but the inadequacy of the service…that clogged and diluted the real feeling…the perpetual compromise. The Diary of Virginia Woolf, Vol. I: 1915-1919, 23 July 1918 (170). I should be reading Ulysses, and fabricating my case for and against. I have read 200 pages so far–not a third; and have been amused, stimulated, charmed, interested, by the first 2 or 3 chapters–to the end of the cemetery scene; and then puzzled, bored, irriated and disillusioned by a queasy undergraduate scratching his pimples. 1 “But I like the London suburbs in autumn and the immense poetry and I like Hyde Park fading into night…” (Letters, 12 October 1934). Mavis, thanks for submitting your ideas. Add more any time! Hi, I am Mavis from Taiwan. In response to this topic, my first impression is her passion for walking in London. Please do. Start the ball rolling!